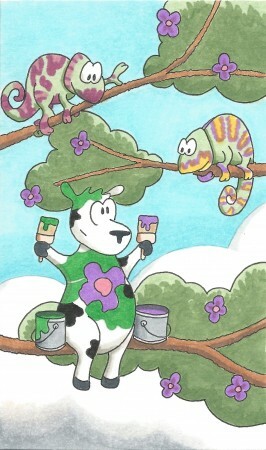 Which is harder to determine: how the cow climbed the tree or where she got the paint? when hunting for its mealeon. Fun poem! I’m all for making words up.